Classic single gang 2 port angled design faceplate / wallplate. 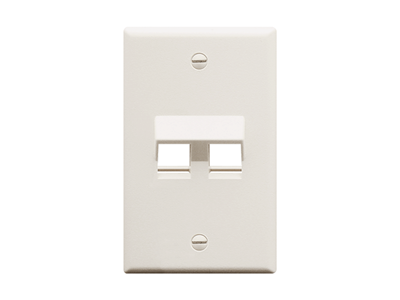 This wallplate is angled to provide strain relief and sport a low profile. Accepts all IC107 modules and keystone jacks. This faceplate is white.